Powell’s father, Rev. Adam Clayton Powell, Sr., was pastor at Abyssinian Baptist from 1909 to 1936, during which time the church moved to Harlem and became the largest protestant parish in the world with over 12,000 members. Adam Clayton Powell, Jr.—at that time the assistant pastor of the church—rose to fame by leading a boycott of shops along 125th Street that would sell to African-American shoppers but would not hire them to work at the stores. This “Don’t Shop Where You Can’t Work” movement boosted Powell’s political prominence; in 1937, Adam Clayton Powell, Jr., took over the pulpit at Abyssinian Baptist, and in 1941 he became New York’s first black city council member. In 1944, he was elected to the House of Representatives—the first African-American from New York—and served until 1970, when he was replaced by Charlie Rangel. (Together, that means that Harlem has been represented by only two men for the past 63 years!) In congress, Powell was integral to the Civil Rights movement and as chairman of the Committee on Education and Labor saw to it that legislation on school lunches, student loans, and the minimum wage got passed. · The mammoth building at 125th Street that now bears his name was one of the last things he adamantly opposed as Harlem’s representative. He at one point threatened to leave New York and settle permanently in his second home in Bimini should the building be constructed. When it first opened in 1974, it was simply the “State Office Building in Harlem”—Powell’s name was not attached until 1983. · In 1960, he slandered a constituent, Esther James, claiming she was a “bag woman” for the Mafia. James sued and was awarded $46,000 that Powell refused to pay. When charged with contempt, Powell would only come back to Harlem on Sundays—when civil contempt subpoenas could not be served—to preach at Abyssinian Baptist. 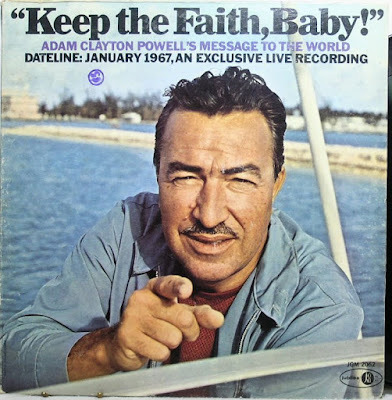 A judge eventually gave Powell more time to come up with the money and one way he attempted to raise funds was by issuing a spoken word LP, Keep the Faith, Baby!, containing some of his most famous speeches. As always, more information about Powell and the history of Harlem can be found in our book, Inside the Apple, which is coming out in March but is available for pre-order today. Use this link to subscribe to RSS feeds from this blog. Or, to subscribe via email, follow this link. The Times article also points out that while the museum will only take about 90 minutes to tour, it costs $26 as opposed to the full museum in Cleveland, which takes hours to explore yet only costs $22. Which once again just proves Liz Lemon right: Cleveland rocks! If you are interested in doing a Rock and Roll tour of the city, we wrote the script for a tour of famous music spots in the East and West Village. The tour, narrated by DJ Ken Dashow, is available for download at www.citylisten.com. Like millions of people across the country, we’ll be watching the annual Macy’s Thanksgiving Day Parade (from the comfort of our living room, courtesy of dueling parade coverage on NBC and CBS). 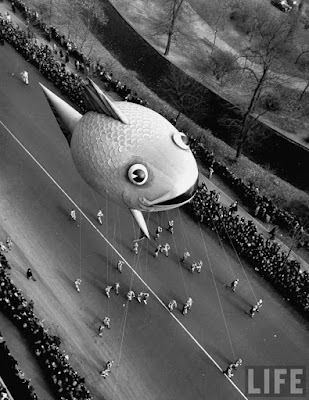 · When it launched on Thanksgiving Day in 1924, the parade began at 145th Street and Convent Avenue in Harlem. The parade wended its way almost six-and-a-half miles down Convent, Morningside, and Manhattan Avenues to 110th Street where it jogged over to Broadway and turned south. At Columbus Circle the parade moved over to the Eighth Avenue as far south as 40th Street before heading back over to Broadway to finish at Herald Square. (The parade was inaugurated to celebrate the expansion of Macy’s into the 12-story Herald Square store, which had opened just three months earlier.) They moved the start of the parade route to 110th Street a few years later and to the Museum of Natural History in the 1940s. The parade now covers about 2.4 miles. · The parade, which has featured Santa since its inception, was known as the Macy’s Christmas Parade until 1935. · Prior to the first parade, the New York Times reported that Santa would be accompanied by “a retinue of clowns, and prominent personages in toyland, such as Mother Goose, Little Red Riding Hood, Little Miss Muffet and the Three Men in the Tub.” In its post-parade coverage, the Times notably changed that to a “retinue of clowns, freaks, animals and floats.” The animals, according to Macy’s own website, came from the Central Park Zoo. No mention is made of where the freaks came from. · The first helium balloons were introduced in 1927. The Times referred to one as a “human behemoth” and another as a 60-foot “dinosaur” (both in quotes). There were also balloons of “lions, tigers, monkeys, giraffes and occasional cannibals.” The cannibals were evidently part of a Robinson Crusoe float. · The next year, the store released five balloons into the air at the end of the parade. Those who found them could return them to the store for a $100 prize. Three of the balloons came down in Queens; a fourth landed in the East River and was pursued by tugboats; the fifth—a ghost—was last seen heading out to sea over the Rockaways. After a couple of near misses with airplanes, Macy’s stopped releasing balloons in 1933. Photo courtesy of the new Life magazine photo archive over at Google. Before we get to Thanksgiving (which will be the subject of a future post), we have another holiday coming up next week: Evacuation Day. So, break out the red, white, and blue, because Tuesday marks the 225th anniversary of the end of the Revolutionary War. 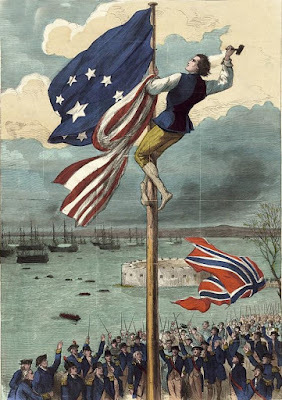 To end the occupation once and for all, George Washington returned to New York on November 25, 1783, for the first time since he had lost Manhattan to the British in 1776. That morning the British troops pulled out of the city, sailing from the Battery through the Narrows. (Supposedly the last shot of the Revolutionary War was fired in anger at the shore of Staten Island.) Once the British had gone, Washington and his commanders marched into the city. There are couple of places you can go to celebrate Evacuation Day. The first is Fraunces Tavern on Pearl Street. This is the reconstructed version of the tavern where Washington had his final headquarters after his triumphant Evacuation Day return to the city. The tavern still operates a bar and restaurant as well as a fascinating small museum. Nearby on Wall Street, a statue of Washington graces the front of Federal Hall National Memorial. Though the statue is there to commemorate a later event (Washington’s inaugural in 1789), it was erected on Evacuation Day. In Union Square, take a look at the magnificent equestrian statue of Washington that stands at the 14th Street end of the square. This statue, by Henry Kirke Brown, is meant to depict Washington riding into the city on Evacuation Day. To read more about New York’s role in the Revolution, feel free to go ahead and pre-order a copy of Inside the Apple, which will be published in March 2009. Or, to subscribe via email, follow this link. Also, you can now follow us on Twitter. In case you missed the brand-new issue of Carousel News and Trader magazine, the merry-go-round in Central Park is turning 100 years old this year. The original Central Park carousel was installed in 1871 and was, according Sara Cedar Miller’s excellent park history, hand cranked! Manual labor was soon replaced by a blind horse or mule that was hitched to a crank in the building’s basement. In 1924, an electrified carousel was installed, but this burned down the night of November 7, 1950, in what was perhaps an electrical fire, and the carousel we have today was opened soon thereafter. The current Central Park carousel originally opened at Coney Island in 1908 during the heyday of the boardwalk as a leisure destination. Known as the BMT Trolley Carousel, it was built by the firm of Stein & Goldstein, one of America’s premier carousel manufacturers. Many of the early amusement parks at Coney Island were run by the trolley companies—as an incentive to ride a certain line, your ticket to Coney Island would also include admission to that company’s rides. However, by the 1940s the subway had displaced the old trolley companies and the BMT carousel was in a warehouse gathering dust. 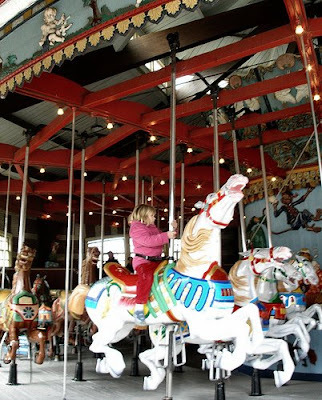 Luckily, when the Central Park carousel burned down, someone remembered that this old Stein & Goldstein merry-go-round was in storage and it was moved to Central Park. If you haven’t checked out the Central Park carousel recently, it’s well worth a visit. Stein & Goldstein’s handiwork is amazing: each horse is unique and the outside horses are 3/4-life size. (According to Carousel News and Trader, the Central Park horses may be largest hand-carved specimens left from the golden age of carousel manufacturing.) The carousel also reaches a top speed of about 12 miles an hour—more than double the speed of a typical modern merry-go-round. Photo by mvhargan on flickr. Most New Yorkers probably haven’t given a second thought to York Avenue, the thoroughfare that runs from 59th Street to 91st Street just east of First Avenue. And if they have thought much about its name, they probably ascribed it to the Duke of York, for whom the city was named back in 1664. However, York Avenue is actually a much more recent appellation: it was named in 1928 to honor Sergeant Alvin C. York, America’s most renowned World War I hero. And since Tuesday is Veteran’s Day—originally Armistice Day*, a World War I holiday—we thought we’d devote a couple of paragraphs to Sgt. York and his eponymous street. This idea of renaming a street after a war hero to bolster its real estate values was not new. Anthony and Orange streets—two of the worst streets leading into the old Five Points neighborhood—were renamed Worth and Baxter in the early 1850s after two of New York’s two great heroes from the Mexican-American War, General William Jenkins Worth (who we’ll revisit in a later blog posting) and Colonel Charles Baxter. And perhaps the most remarkable change in an avenue’s real estate fortunes came when Fourth Avenue—aka “Death Avenue”—was renamed Park Avenue. More about street names can be found, as always, in Inside the Apple, which is available for pre-order now. * Armistice Day was created in 1919 to mark the signing of the armistice with the Germans on the 11th hour of the 11th day of the 11th month of 1918. In 1954, the holiday was renamed Veterans Day to honor those who had served in all wars. lower Broadway near Bowling Green. His vice president, John Adams, lived in isolated splendor in a mansion in Greenwich Village called Richmond Hill, later home to Vice President Aaron Burr. In 1800, the incumbent president, John Adams, was faced by his own vice president, Thomas Jefferson. Jefferson's running mate was New Yorker Aaron Burr; however, due to a flaw in the electoral system (which made no adequate provision for distinguishing between votes cast for president versus vice president), both Thomas Jefferson and Aaron Burr each received 73 electoral votes and the election was thrown to the House of Representatives. The Federalists, who still controlled congress, tried to elect Burr as president, thus denying the seat to Jefferson, who many considered the nation's leading opponent of Federalism. Notably, it was only though the intervention of Burr's nemesis, Alexander Hamilton, that Jefferson was finally elected president on the 36th ballot. Burr's home in Greenwich Village, Richmond Hill, is no longer standing, but one of the property's stables is now the restaurant One if By Land, Two if By Sea. Burr was left off the Democratic-Republican ticket in 1804 in favor of New York governor George Clinton, who also went on to be James Madison's vice president (thus making him one of only two vice presidents to serve under different presidents; the other was the well-coiffed John C. Calhoun). The man Clinton replaced as governor, Daniel Tompkins, was vice president under James Monroe. Tompkins, who gave the land to the city that became Tompkins Square Park, is buried in the churchyard at St. Marks in the Bowery on 10th Street at Second Avenue. In 1836, New York governor Martin Van Buren (who had been Andrew Jackson's secretary of state and vice president) was elected to the presidency. It would be the last time until George H.W. Bush that a sitting vice president would succeed to the presidency without the president dying in office. Another fun fact about Van Buren: not only was he a descendant of one of the early Dutch settlers of New York, he grew up speaking Dutch. Generally forgotten in the lists of American presidents is Millard Fillmore, who hailed from the Finger Lakes region upstate. A congressman for over a decade in the 1830s and '40s, Fillmore returned to New York to run an unsuccessful campaign for governor. 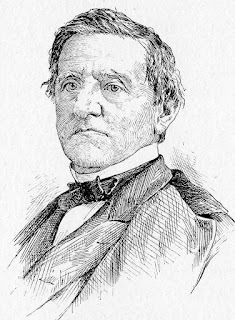 In 1848, he became the state's comptroller. In that capacity, he oversaw the start of construction on the state militia's arsenal in Central Park. Today, his name is still clearly visible in the plaque over the building's front door. In 1848, Fillmore was also tapped to be General Zachary Taylor's running mate. When Taylor died after only a year in office, Fillmore became president. However, like John Tyler before him (who had succeeded to the presidency upon the death of William Henry Harrison), Fillmore was not picked by his own party to run for a second term. In 1868, Governor Horatio Seymour was tapped by the Democrats to face war hero Ulysses S. Grant. Seymour had long been involved in New York State politics—the factionalism of this period is sometimes hard to fathom. 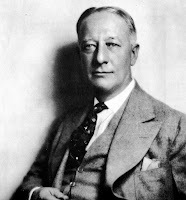 Seymour was a "soft-shell hunker," opposed to those in the party who were "hard-shell hunkers" or "barnburners." The hirsute Seymour sported an impressive neck-beard, which was quite the fashion of the time. Newspaper editor Horace Greeley faced Grant in the election of 1872. 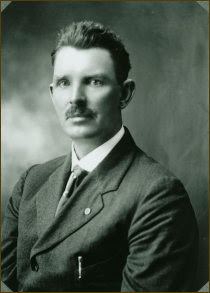 Greeley, a staunch Republican, had become disillusioned by the party and Grant's mediocre first term and decided to face him as a "Liberal Republican." (The Democrats backed Greeley, as well.) Grant handily won a second term and Greeley died before the Electoral College could convene, meaning that his electoral votes were split between four other Democratic candidates. A handsome statue of Greeley (who, like Seymour, sported a neck-beard—whatever happened to those?) sits in City Hall Park near the entrance of the Brooklyn Bridge. New York Supreme Court. He ran in 1885 to become president in his own right, but lost to New York Governor Grover Cleveland. president three consecutive times.) Cleveland's vice president during his second term was Adlai Stevenson, grandfather of the 20th-century presidential candidate who ran twice against Dwight D. Eisenhower. McKinley was assassinated in Buffalo while attending the Pan-American Exposition. Roosevelt ran for election in his own right in 1904 and won, becoming the first vice president who had been elevated to the presidency who went on to win the office in his own right. Teddy ran again in 1912 on the Progressive or "Bull Moose" ticket, siphoning enough votes away from incumbent Republican William Howard Taft to give the election to Woodrow Wilson. Lower East Sider Al Smith ("the Happy Warrior") rose to prominence in the state legislature in the early years of the 20th century. He was elected governor in 1918; though he lost the 1920 election, he was governor from 1922 to 1928 when he secured the Democratic nomination for president. The plainspoken Smith lost the election that year to Herbert Hoover, done in by a combination of prejudice (no Roman Catholic had ever sought the nation's highest office) and opposition to his "wet" candidacy during the height of Prohibition. Smith went on to be the head of the Empire State Corporation that erected the Empire State Building. His boyhood home, on Oliver Street, still stands and is on the National Register of Historic Places. the Fortune, the second ship to bring the Pilgrims to the New World. His Roosevelt ancestors had been in New York since the city had been New Amsterdam. Though he was only a distant cousin of Teddy Roosevelt, his wife, Eleanor, was Teddy's niece. that the Chicago Daily Tribune went to bed on election night with "DEWEY DEFEATS TRUMAN" running across the page. In the end, though Truman only squeaked out a narrow popular victory, the margin in the Electoral College was overwhelming. Dewey's ignominious defeat marked an end to New York's role in presidential (as opposed to vice presidential) electoral politics. A couple of vice presidential hopefuls in recent years have hailed from New York: William Miller, who was Barry Goldwater's pick in 1964, and Geraldine Ferraro, who ran with Walter Mondale in 1984. Also, in 1974, New York Governor Nelson Rockefeller was appointed to be Gerald Ford’s Vice President, making the two of them the only combination in history of a president and vice president who were not elected. Much more about many of these New York politicos—including George Washington, Aaron Burr, DeWitt Clinton, Samuel Tilden, and Al Smith—can be found in our forthcoming book, Inside the Apple: A Streetwise History of New York City.